Are you trying a new guard and it’s not working? Are your opponents and training partners having little trouble breaking and passing? There are many reasons this could be happening. If you have found yourself in this position, take a look at the five things below and see if they help. Poor posture. From every position, top or bottom, there are things you can do to have a strong posture and structure and things you can do that make it weak. With a weak posture and structure, you will not be able to absorb or exert force. In other words, you won’t be able to keep your opponent from putting you on your back and you won’t be able to create space and set up attacks. To learn more about strong and weak structures and posture go here Nic Gregoriades-Strong Structure This is a key element to playing any guard and something we can all improve on. Not recognizing when your opponent is no longer actually in your guard. When your opponent is in your guard their objective is, obviously, to pass/improve their position. You could say there are three steps in this process: They are in your guard, they are passing your guard, and they have passed your guard. Another way to look at this is that there is a zone that your opponents are in for playing guard, and when they are no longer in that zone, you are no longer playing guard. For more on this idea go here: Jason Scully-Guard Retention Recognizing early when your opponent is out of your guard zone will not only give you the opportunity to prevent the pass and regain your guard — you will also see opportunities to catch submissions in transition as well as sweeps or reversals. Not knowing the other side of the equation well enough. If you have learned to defend and pass a particular guard well, then when you are playing that guard you will have a pretty good idea what your opponent is trying to do based on the grips they choose, their posture, base, pressure etc. This allows you to anticipate and counter a move almost before they try and make it. If you are not familiar with the other side of the equation, then your opponent will have this same advantage. Not staying busy enough. ABA…always be attacking. As a general rule, if you’re positionally sparring with an equally skilled opponent and your only objective is to hold them in your guard, it might take some time, but they will eventually pass. On the other hand, if you are looking for sweeps and submissions and are attacking relentlessly, your opponent is likely to either tire or make a mistake. When this happens the sweep or finish will present itself. Missing some key details of the specific guard you are playing. 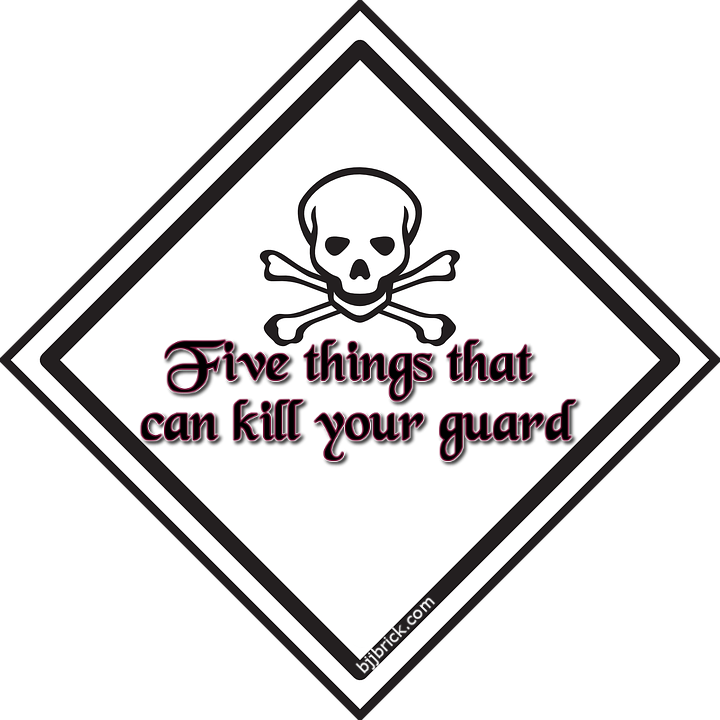 The first four points are general ideas/concepts that apply to every guard. If you play multiple guards well, it’s likely you already understand these concepts. If that’s you, and you’re struggling with a new or different guard you’re trying, it’s possible you are simply missing some key details regarding grips, points of control, or the specific techniques from that guard. Ask your instructors and senior teammates for advice. The great thing about jiu-jitsu is that often times what will fix one problem will fix many others as well. Look at the first four points of this article. If you apply these concepts to your spider guard for improvement there, you will likely see improvement in all other aspects of your game as well. So, if your guard game is a struggle, try looking at these concepts and then see how the rest of your game improves as well. Thanks to Nic Gregoriades and Jason Scully for providing quality content to help illustrate the points made in this article. Train hard. Train smart. Get better. This entry was posted in Article and tagged bjj article, bjj guard, bjj guard tips, get a better guard, jiu-jitsu guard tips, learning the guard bjj by byronjabara. Bookmark the permalink.